The man of the twenty-first century, modern-day sorcerer’s apprentice, rediscovered with wonder and sometimes with amazement the wisdom and teachings of the ancients. In Cambodia, under the shades of the Angkor temples, a community, gathered under the « Golden Silk » label is trying to reconnect with its sumptuous past and to revive the splendor of the silk of its prestigious past. Maintaining this legacy represents a difficult challenge as the variety of local silkworms, while allowing the production an exceptional quality of silk, nearly disappeared due to an impossible mechanization of its spinning forbidding broadcast series. This is practically the same for the local species of mulberry, which, although resistant to prolonged immersion and therefore the effects of future climate change, does not have large and beautiful leaves easy to harvest. The challenge of keeping up a secular traditional know-how comes along with economic constraints and agronomic issues arising from a reduced biodiversity. Far from the agricultural production areas, and rooted in ancient tradition the project « Golden Silk » uses, as much as possible traditional means of production (plow and oxen) instead of modern ones (tillers). With the exception when modernity is environmentally friendly … (solar irrigation system). Furthermore, all equipment (warping, spinning wheels, trades ….) used in the manufacturing process are made out, improved and maintained in-situ. Obviously, the very philosophy of the project « Golden Silk » requires the exclusive use of natural dyes for the entire production. 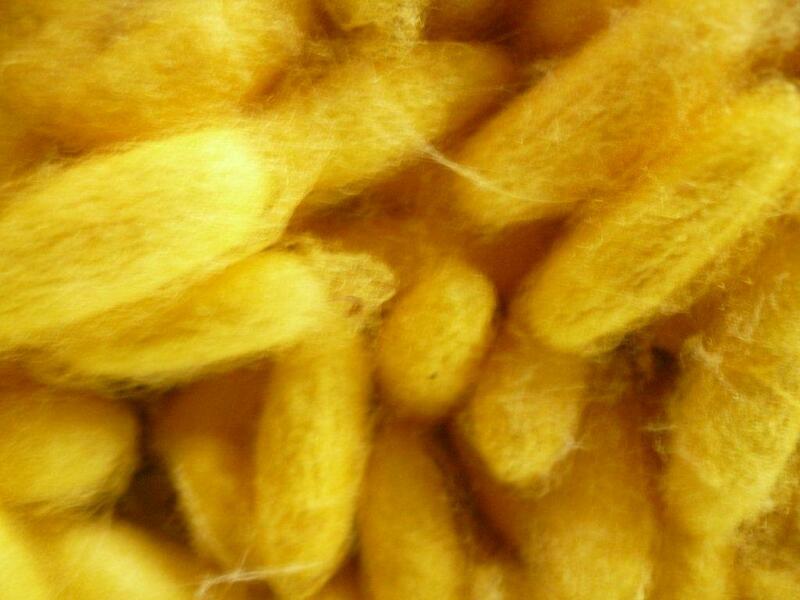 For all these reasons, the « Golden Silk » plantation and workshops are a Mecca for ecotourism. The center has been recently opened to the public. Visits are by reservation only in order to deepen the relationship with the community and to strengthen the quality of the meeting. 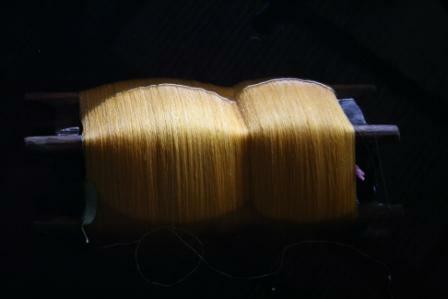 The tour ends with an introduction to weaving. Although each « Golden Silk » fabric bought, attached its owner to a human chain and proves its membership in the set of values ​​which are solutions to the ills of modern times, it is no less fundamental and important that the quality and uniqueness of each silk are sufficient criteria to purchase as part of a sustainable development. Also, the team « Golden Silk » is aiming to stir up your thoughtfulness and not your compassion. We hope we succeeded. Feel free to send us your comments, visit our web-site and please drop by to us.